 Beloved by the residents of Marshalltown, the Linn Creek Recreational Trail runs right through the heart of the city but never more than shouting distance from Linn Creek or the Iowa River. The trail offers a diverse landscapes that includes industrial and residential areas, city parks, open fields and woolands, all while giving a feeling of seclusion as you ride along. Most of the trail was built on the levee that keeps Marshalltown from flooding should the Iowa River swell above its banks. Beginning at Riverview Park in the northeast portion of the trail, it passes through the Nicholson Ford Nature Area then near a Union Pacific railroad yard and then around the city pool and baseball fields. The trail then goes through Morris Park to end at Grimes Farm Nature Center and it is this section that is known as a RWT or rail with trail; the trail runs at a safe distance to an active rail line, a configuration that is becoming more and more common in the United States.